Frog Valentines day card, Kids Valentines, Toad Valentine, Printable Valentine, Instant Download, Printable Cards, Valentine's Day. 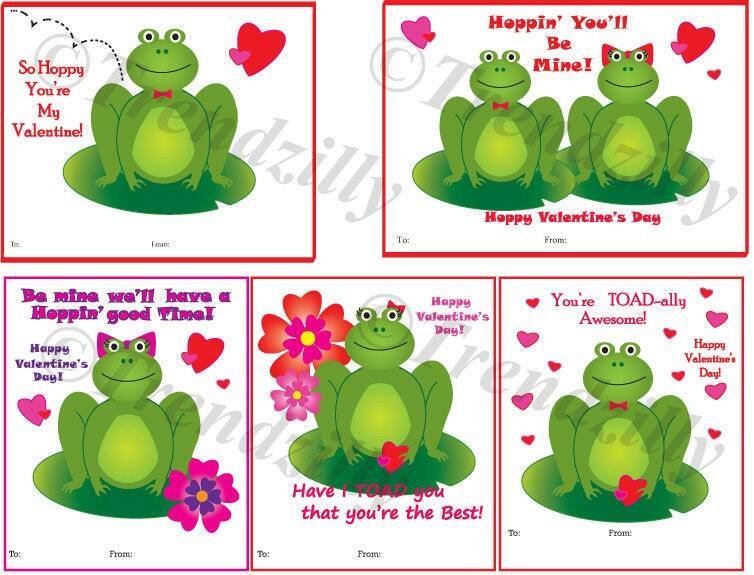 This is a printable download of 5 different toad valentines. Your kids will TOAD-ally have fun making these, they can be used as is or can be personalized with embellishments like construction paper, card stock, glitter or anything you wish.